If you are looking to upgrade your current central air conditioning system or window units to a new high-efficiency model, you can count on the experts at Prevett Oil to help keep your MA home comfortable no matter how high summer temperatures may climb. If you’re considering purchasing one of the top cooling systems on the market, it won’t perform to your liking if it’s not properly chosen, sized, and installed. Call us at Prevett Oil to get an estimate on your new A/C equipment and we will offer recommendations on the best solution for your home based on your unique requirements. 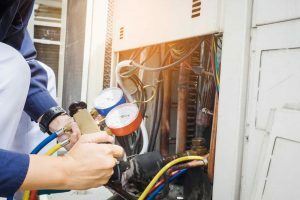 Once we’ve decided on a system together, we will schedule our highly trained crew to install your new air conditioning equipment quickly and efficiently. 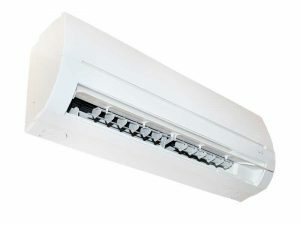 Prevett Oil is proud to carry high-efficiency ductless mini-split systems manufactured by Friedrich. Ductless mini-split systems are the perfect solution to total-home cooling without springing for central air. Ductless mini-split air conditioning systems are made up of one outdoor unit and one or more indoor units that work together to efficiently cool your home. You can enjoy energy-efficient room-by-room cooling with no ductwork required! Are you ready to say goodbye to your inefficient window unit? Contact us to find the right central or ductless mini-split air conditioning system for your home!